ICD, a leading provider of professional security services in Asia, recently signed a contract with Huawei, a global data and telecommunications company, to provide professional onsite security services to manage and optimize the client’s extensive access control system. 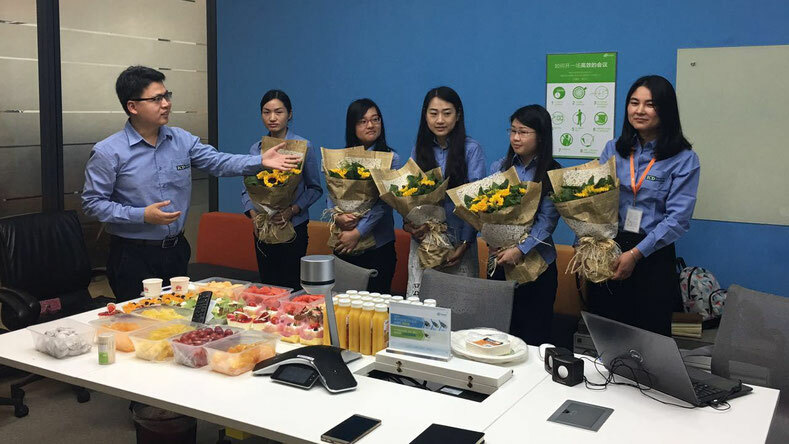 On Tuesday 2nd May, ICD travelled to Huawei’s headquarters in Shenzhen to carry out a small initiation ceremony and to welcome the new onsite staff on board. As a leading global provider of information and communications technology (ICT) solutions, Huawei is rapidly expanding and improving its industry reputation and therefore seeks to improve internal management processes in order to facilitate ongoing development. 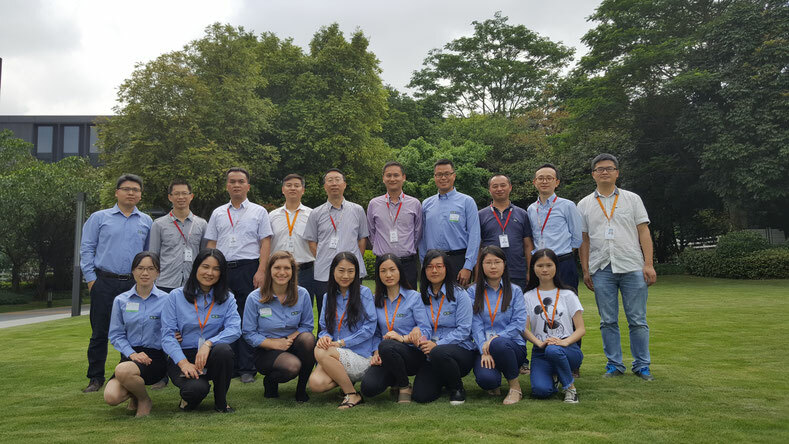 Through extensive communication with Huawei’s administrative department, ICD discovered that security management was proving an extremely heavy workload for the client’s administration team, with a lot of time spent managing and providing guidance to outsourced personnel. We therefore advised the client that they utilize our professional onsite security staff services in order to save HR resources and allow the client to stay more focus on their core business. In addition, by adopting a system management team managed by ICD, Huawei can ensure that the best industry practices and standards are deployed and that their systems are continuously optimized. With years of experience providing professional security services to Fortune 500 companies with high corporate security standards for their sites across APAC, ICD not only provides system integration services but also offers a range of value added services to our clients including security design and consulting, advanced solutions and onsite security services. It is our belief that by offering these additional value added services alongside traditional system implementation services creates a complete security solution and provides maximum value for our clients. With over 180,000 employees worldwide and a large number of outsourced staff, Huawei has an extremely large amount of access control data. Employing strict access control administration systems and processes, the management of the client’s access control card data and access rights is a complex and sizeable job. Huawei’s administrative department therefore requires a professional ‘service outsourcing’ partner to replace its existing ‘people outsourcing’ model to effectively manage its access control system. To provide such a service, ICD first identified a clear set of job criteria for the professional security staff required in line with the specific needs of managing Huawei’s access control system. 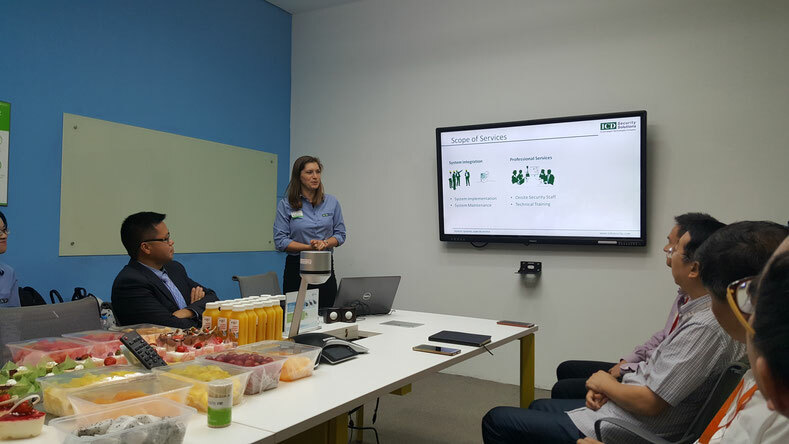 Once sourced, the onsite staff participate in a range of training to increase professional capabilities, experience and communication, with the goal of increasing employee satisfaction and ultimately ensuring a stable, high-quality team. By adopting effective onsite team management methods (including a dedicated onsite team manager, comprehensive and targeted training, effective performance management, regular 101 meetings between staff and our onsite team manager, regular performance feedback and strong team and technical support), we are not only able to provide Huawei with professional security services and advise on safety management, but also offer the onsite team a sense of belonging and accomplishment, further ensuring the stability of the team. By assisting Huawei recruit and manage a full-time onsite access control management team, we ensure that Huawei's access control will be handled by a competent professional team with access to support from our local customer service department and technical teams when necessary. With the knowledge that their access control systems will be effectively managed, Huawei can focus on expanding its core business. This collaboration has laid a solid foundation for the partnership between ICD and Huawei with future opportunities for further cooperation such as existing security system status assessments, security consulting and design services and Huawei’s participation in security industry events and forums. As ICD continues to better understand the client’s security requirements and standards, we remain committed to providing the best services and solutions to Huawei in order to support their wider business goals. To find out more about our Professional Onsite Services, click here or get in touch with us at sales@icdsecurity.com.